Two women were struck by a car and injured while walking in a crosswalk in downtown Centralia on Thursday evening, according to Centralia Police. The incident occurred at 5:20 p.m. at the intersection of Pearl and Magnolia streets. Police say a car traveling on Magnolia Street was taking a left-hand turn to head southbound on South Pearl Street when it hit two adult female pedestrians crossing the street. The extent of the injuries was not immediately known, but witnesses said both women were awake and talking when they were loaded into ambulances. The causing driver remained at the scene and was speaking with police. Whether or not you were at fault in your pedestrian accident, it’s important that you figure out if you’re entitled to benefits. If you’ve had to pursue medical treatment or therapy, or missed time from work following an accident, you could be due for a settlement. Studies have shown that victims that retain the services of a personal injury attorney receive on average 3.5 times more in settlement money than people that represent themselves. There are many reasons why. They help determine fault. When a car collides with a pedestrian, many people assume that the driver is automatically fully at-fault for the damages. This isn’t always true. Various city and state ordinances make liability complicated at times, and the degree of fault can be split between both parties. They can determine damages. Maximizing your personal injury claim for damages — including medical bills, lost wages, pain and suffering, etc. — can be complicated. An experienced attorney can guide you through the process. They know when to file a lawsuit. The right lawyer will know the correct negotiation strategy and when to file a lawsuit — if at all. They can stand up to the insurance companies. 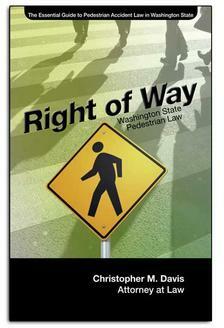 Insurance carriers for pedestrians and drivers can be intimidating and tough to deal with. A lawyer with experience going to trial will command the respect that gets you the money you deserve. 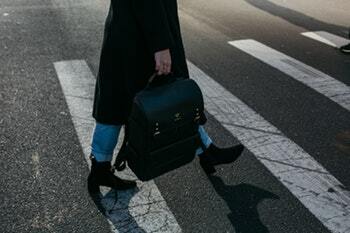 A skilled Washington state pedestrian accident lawyer can help get you the money you need to pay for your bills and compensate you for lost wages and pain and suffering. Call the injury attorneys at Davis Law Group today to find out how we can help. Our lawyers offer a number of consultation options, including phone calls, in-home visits, etc. Contact us at (206) 727-4000, use the chat feature below or fill out the contact form on this page to get started.